This book marks Eoin Colfer’s move from children’s to adult fiction with the introduction of another serial character: Daniel McEvoy – ex Irish army sergeant, now working as a doorman in a sleasy New Jersey nightclub, worrying about losing his hair and trying to stay out of trouble. These points aside, the plot is compelling and satisfyingly twisty, drawing upon the roots of modern crime fiction: Dan carries with him an echo of Chandler’s Marlowe as a fundamentally honourable man, a contemporary knight errant, in a corrupt metropolis. The jokes are generally very good indeed. And many of the characters, particularly, I thought, Zeb and Simon, well drawn. It also highlights the courage and experiences of UN peace-keeping forces (Dan is a veteran of the operation in Lebanon), something rarely touched upon in popular culture, and something that deserves greater attention. And the book kept me up at night so I could finish it and find out how the various strands resolve: one should never quibble too much about a book that can do that. 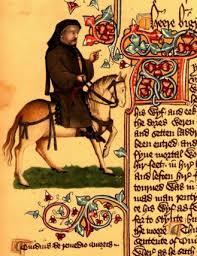 The authors admit at the outset that they are not even sure if Chaucer was murdered. But they use the question to probe the political and cultural milieu of the late 14th century. In the process they convincingly destroy the myth of Henry Bollingbroke’s popular and bloodless coup against Richard II and instead show it up for the illegal, sanguinary and repressive affair that it was. In this context the authors show that it is at least plausible that Chaucer, the court poet and political follower of Richard, did not die peacefully, particularly given the emnity that he earned from his lambasting IN ENGLISH of the corruption in the Church in Canterbury Tales. They also construct a compelling circumstantial case against the likely culprit. 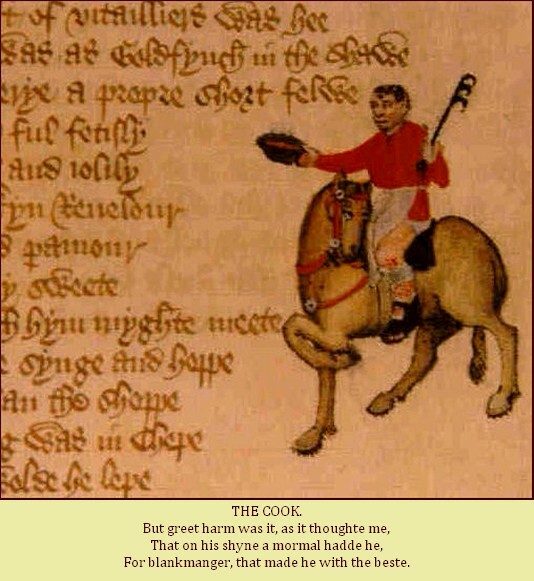 Along the way the authors provide a useful introduction to the Canterbury Tales themselves and the importance of Chaucer as both a poet and a proponent of the English language. One slightly irritating feature of the book is its peppering with Jones’ jokes. No doubt someone thought that this would be expected by readers. However this is ill judged. The book can stand on its own as a piece of historical and literary research and it doesn’t need the jokes to carry the reader forward: The argument does this on its own… And the jokes are not very good. This quibble aside it is a fine book and a worthy companion piece to Terry Jones’ Chaucer’s Knight. After 20 years its good to catch up again with some of the key characters of Presumed Innocent who have, since that book’s publication, been hovering at the edges of Turow’s novels – almost all based in the fictional metropolis of Kindle County – a stand-in, one presumes, for contemporary Chicago. Rusty Sabich, the protagonist of Presumed Innocent, is now a senior judge. Tommy Molto, his former prosecutor, is in Rusty’s old job, in charge of the County’s Prosecuting Attorney’s office. The plot of this book revolves around the mysterious death of Rusty’s wife, Barbara, as Tommy is reluctantly drawn into investigating him again. While the plot and mystery are compelling the true joy of the book arises from the exploration of the messy lives and loves of the characters. Turow uses the device of first person, present tense narrative for three of his principal protagonists. Hence we come to know them intimitately while they remain in crucial ways mysteries to each other and to Tommy. There is an echo in this book of vintage Graham Greene in the compassion and understanding with which Turow treats the characters and their mistakes. However, unlike much of Greene’s work, in this book it is the Catholic character, Tommy, who’s moral compass is steadiest in the midst of all, his prosecutorial zeal mellowed with love and age to a more humane commitment to justice and rule of law. This book may lack the twists and surprises of Presumed Innocent, but it makes up for it in many other ways, not least the beauty of its writing, and is pretty much an unalloyed joy from start to finish. 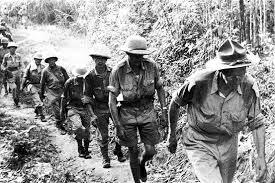 Towards the end of his life George McDonald Fraser wrote this memoir of his experiences as a very young man fighting in the last battles of the Burma campaign. He acknowledges the unreliability of his memory – the result not of age but of being a young private (later a lance corporal) in the chaos of war. His memory of contacts with the enemy in battle is very clear, he writes, but he needed to refer to regimental histories in order to make sense of these memories in the broader narrative of the campaign – something to which he would never have been privy at the time. The result is a remarkable book – funny, exciting and moving by turns as he recounts his life in Nine Section, a Scot in the midst of Cumbrians. He remained to the end of his life, he notes, a man of his times, a product of imperial Britain, unforgiving of the Japanese (the repeated use of the term “Jap” drives home this point) and unapologetic of these facts. His honesty about this and about how the war was fought is an important aspect of the book, fundamental to presenting a clear sighted but affectionate portrait of the sort of men who served. Paradoxically this also leads to points where he rails against aspects of the modern world – European Union, and a perceived “softness” on criminals for example – perhaps honest about what he felt but, unlike the rest of the book, little to do with considered experience. These quibbles aside this is an exceptional book, beautifully written and a fine tribute to the men Fraser served with and the generation who defeated European fascism and Japanese militarism. First of all many thanks for the opportunity to speak here. We are meeting here, as everyone is aware, as the ILO are engaged in a process of standard setting in relation to ILO 29, the 1930 forced labour convention. This is an important process because, as many of the interventions here have indicated, forced labour has moved on considerably since that convention was first drafted. It is also appropriate that we meet here at the European Economic and Social Council because, as Mrs Myria Vassiliadou, the EU Anti-Trafficking Coordinator, remarks indicated there is much that that this process can and should learn from the EU, and most particularly from the EU anti-trafficking directive, on the struggle against forced labour. In contemporary Europe the “legal persons”, to use the language of the Directive, most responsible for the demand for trafficked people are some of our transnational businesses. For example as we speak today European clothes retailers are transacting deals with clothing manufacturers in southern India where the use of the forced labour of girls and young women is routinized. Indeed many of these enslaved young women will be spinning into thread cotton that has been gathered by forced labour and child slavery in Uzbekistan while, for all intents and purposes, the EU stands idly by while these abuses go on on our doorstep. Ongoing research by Anti-Slavery also finds that forced labour of vulnerable migrants in SE Asia is a huge and systematic feature of the export orientated industries of Thailand many of which find lucrative markets in Europe perhaps most notoriously the fisheries that keep us supplied with prawns. If history shows us one thing it is that voluntary measures are woefully inadequate as a means to address systemic problems. The most popular voluntary measure of the moment is that of social or ethical auditing. Frankly we should recognise that this approach has not brought any notable change to labour rights abuses in supply chains. Rather it is used as a fig leaf by companies to indicate social concern without involving any of those companies in the necessary scale of appropriate social and political action to end the problems. Indeed in many instances the purpose of ethical auditing is to find nothing: repeatedly we see the failings of ethical auditing exposed in Bangladesh by lethal fires which have previously been given clean bills of ethical health. Hence a binding Protocol to ILO 29 is essential. The EU directive is an excellent example of an effort to obtain pan-European systematic response. Yet as Mrs Vassiliadou’s remarks indicated also the implementation of the Directive by member states still leaves much to be desired – I would highlight in particular the failures of member states to introduce extraterritorial measures to hold to account their “legal persons”, their businesses, who recklessly endanger vulnerable workers to forced labour in their supply chains. One of the reasons for the failure of member states to fully implement the EU directive is because of the fragmentary nature of the government of many member states: for example in the UK it is the Home Office which has primacy on the EU directive, but some of the measures that the Directive advocates do not fall within the remit of that ministry, but rather should be undertaken by the aid and trade ministries. Replication of key measures from the EU Directive in a binding Protocol to the forced labour convention, particularly those related to the supply chains of “legal persons”, would help address this question of fragmentation by requiring other currently negligent ministries to pay attention to their obligations in the struggle against forced labour internationally. It would also promote good practice more internationally, which is also in Europe’s interest by extending rule of international law to prevent other regions of the world from deriving unfair competitive advantage from the enslavement of vulnerable workers. Forced labour and the trafficking of human beings requires an international response. Too many countries, including member states of the EU, feel that their domestic law will provide sufficient response to the challenges of forced labour. Such an attitude shows little more than a profound lack of understanding of the realities of forced labour and trafficking in a globalising political economy. But this complacent attitude is prevalent in many government ministries across Europe and it must be challenged. The EU Directive rightly emphasises the gendered aspects of human trafficking. There are additional factors that render people vulnerable to trafficking for different forms of enslavement. These include prejudice against caste, ethnicity or age, vulnerability through poverty, relative physical weakness or limited access to education, failures in the rule of law as a result of limited resources, corruption or both, and failure of governments to protect and support their citizens at home or abroad. In citing this list I do not want to make the struggle to prevent human trafficking sound as if it is an unwinnable one. Each one of these problems was created by human beings and like all human constructions they can be changed by human action. Simply put we can begin to address the challenge of preventing human trafficking by aligning justice policy with aid, trade and diplomacy. Currently national policies across Europe and the rest of the world march to their own tunes with little consideration of how they may contribute to the reduction of trafficking. Trade policy is a particularly important example of this. As I mentioned the cotton harvest of our trading partner Uzbekistan is routinely gathered through forced labour and child slavery. This is a dreadful indictment of EU trade policy. Increased challenges from Europe as a whole and from Member States on the sufficiency of the law and policy of trading partners in protecting their own citizens from forced labour abuses should also be an important component of trade diplomacy. Aid policy is also an area where there is surprisingly little consideration on how to reduce the supply of vulnerable workers to traffickers. Increased focus of aid policies on communities vulnerable to forced labour and trafficking would, quite simply, reduce trafficking. For example increased attention on education, including business and vocational education, for low-caste, “Dalit”, girls in South Asia would remove considerable risks of trafficking from their lives. Increasingly our private and governmental aid agencies should be asked to consider how their work contributes to the prevention of trafficking: There needs to be a wider engagement by these organisations with developing solutions to these problems if there is ever to be an optimal response by human society to this human rights abuse. As an aside I feel strongly that there will never be a solution to poverty until there is an end to slavery and so this should be made an explicit Development Goal. I hope all of you here will recognise that that none of the tripartite parties responsibilities end at the borders of national territory. Businesses have responsibilities in their global supply chains. Unions also have interests, for example in ensuring decent work in those same supply chains. And governments responsibilities for their citizens do not end at national borders. So I hope you will support the idea that a new binding instrument should recognise the realities that many of the risks of forced labour in the contemporary world emerge from the gaps in national practice and international rule of law in the globalising economy. If a new instrument can provide clear direction on how to respond to these risks, for example in the ways I have just described, then it will be well worth the effort.